If we all did the things we are capable of doing we would literally astound ourselves. many thanks for your two impressive landscapes! 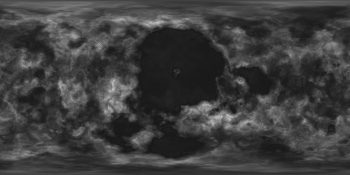 For planet f it seems to me that the heightmap makes the terrain look more like a rocky one, rather than an icemap. So my question would be whether you could imagine making a real ice texture, where every child can see that it is ice with cracks, specular effects and all that? The system is still young so the rather small metal core would still be generating a magnetic field and keep an atmosphere ? maybe? 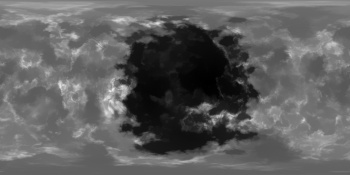 I'm not sure a planet with an atmosphere and the presumably fairly thin ice caps over the water ocean would support that much topology, still less craters (although they look like most of them are safely hidden on the night side). 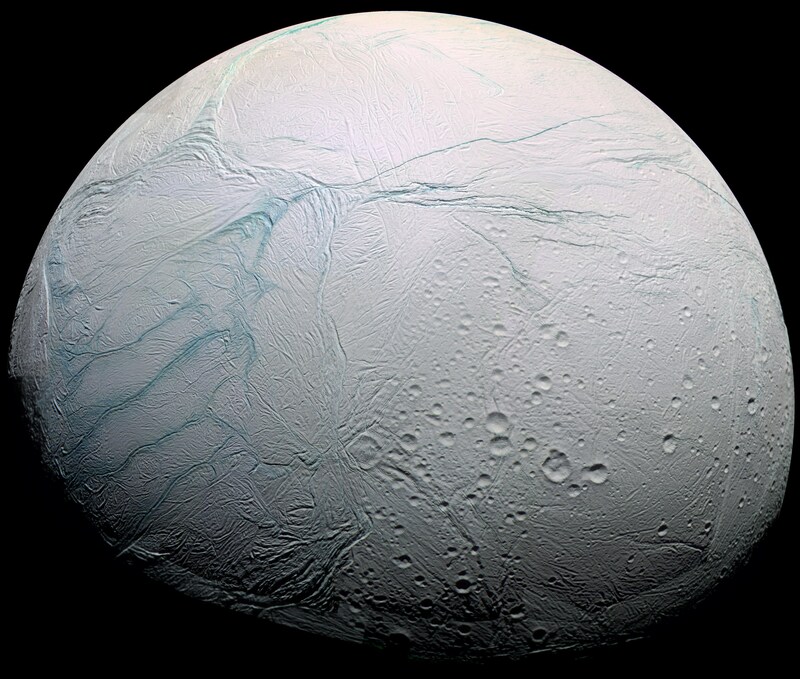 If basing the texture on a solar system ice moon, I'd probably go with Europa rather than Enceladus. I agree, Andrew. Just felt that it was good to see how real ice surfaces look in the TRAPPIST-1 environment (reddish light etc). 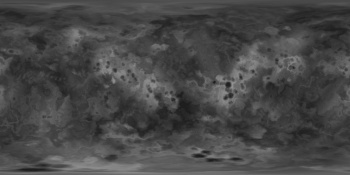 One then has a concise basis for comparing with povray - generated ice...or with JohnVV's approach. See also the remark I made on top of my previous post . PS: I suppose you noted my rather detailed analysis about SpecularColor? Actually, would you know how the size of a star's specular reflection spot in the sea depends on the star's distance and other parameters? What fixes physicswise e.g. SpecularPower? many thanks for your work. My little problem is currently to find out what the most conspicuous ice surface would look like, given that the colors are strongly modified by the redish light of TRAPPIST-1. The guiding idea being to display few but most characteristic features on each of the seven planets. Your 4k surface looks quite nice, yet it could typically also refer to a rocky / mountaneous snow-covered scenario. See also Andrew's previous comment about my attempt of "steeling" some Enceladus ice;-). 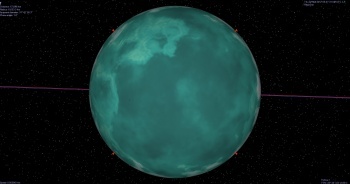 Furthermore, while your greenish color of planet f's ocean looks appealing, it strongly pulls the specular reflection in the ocean from red to orange. 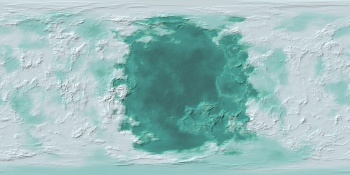 You increased the size of the ocean, which is a priori fine, but lets the user see much less of the planet's surface. So what? 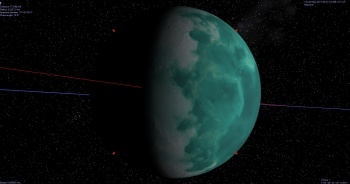 My first problem is that it is not a relatively small moon, it is a planet. So ice fields and cracks should look, well, small? Thanks. I guess. And yes, I'm the same person. But come on, that's not a Russian forum! Don't scare me!